Demonstration of how to make rotating, walkable geometry. This is a simple test level (playable, but not very interesting) in response to a forum question. Note how the planet is not exactly positioned on the radialforcefield, to avoid an ODE crash when the geometry is exactly aligned with the force field. 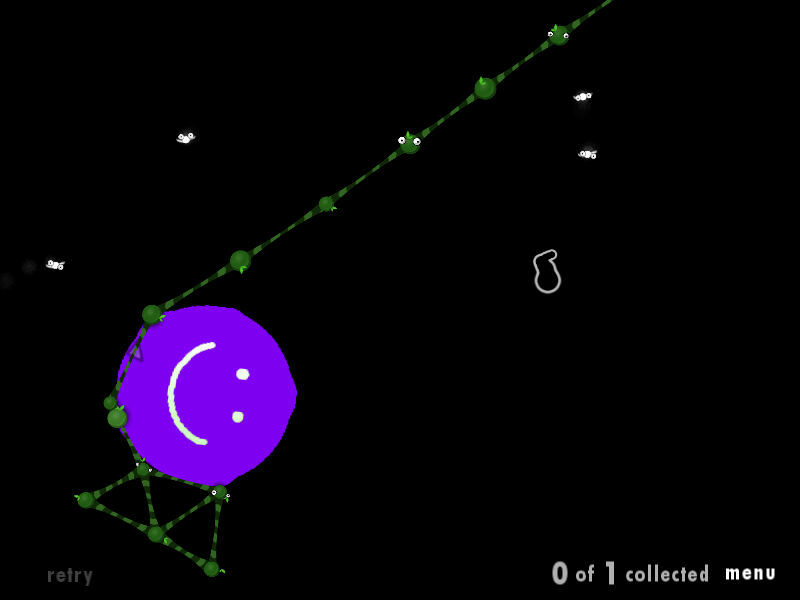 Screenshot 2 also demonstrates that, contrary to popular belief, it is possible for strands to break given enough force. The chain is being stretched by friction of the Ivy balls on the planet, and is about to snap. i think this is really cool.for some reason i could not open the menu, so i was wondering, what is the ocd value? 98% of the teen population believes those "98% of ... if you are one of the 2% who don't copy this into your sig" sigs. copy and paste this into your sig if you are one of the 2% who don't believe them. How do you make the planet the centre of gravity? Always have at least 3 levels in the work shop (Woogle)! There's a radial force field just slightly off-centre. David made this, when i tried to figure out how to do rotating planets. Because i had this crazy idea, which became "Fly Her to the Moon", a while later.